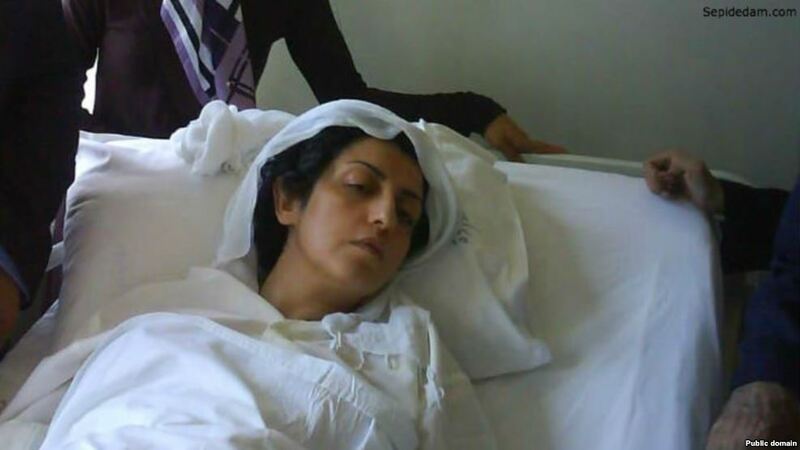 Islamic Regime Judiciary won't allow her to speak to her children and Hassan Rohani the president who supposed to protect the rights of Iranian citizen do nothing. Disclosure of the large number of the corruption among the officials of the Islamic regime in Iran is being continued since the end of the Mahmoud Ahmadinejad Coup Government. Mahmoud Ahmadinejad's Government was supported by Ayatollah Khamenei over the Musavi the presidential candidate of the green movement which resulted of cheating in the presidential election in 2009 . Ahmadinejad's Government and many of his cabinet ministers were arrested or investigated for corruption or have gone to jail. 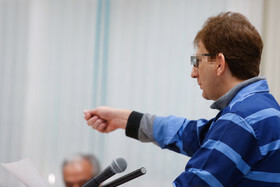 One of Ahmadinejad's Government partner in selling Oil to foreign companies was Babak Zanjani. He is being investigated and is sentenced to death and he is currently in prison awaiting for the execution of the sentence. Mr. Babk Zanjani's lawyer said; his client's partners abroad is willing to come to Iran and pay the bail which is 10, 000 Billion Tuman and the lawyer wants his client out of jail . But judiciary is demanding Babak Zanjani to pay all his assets he has in his name outside of Iran to the regime . 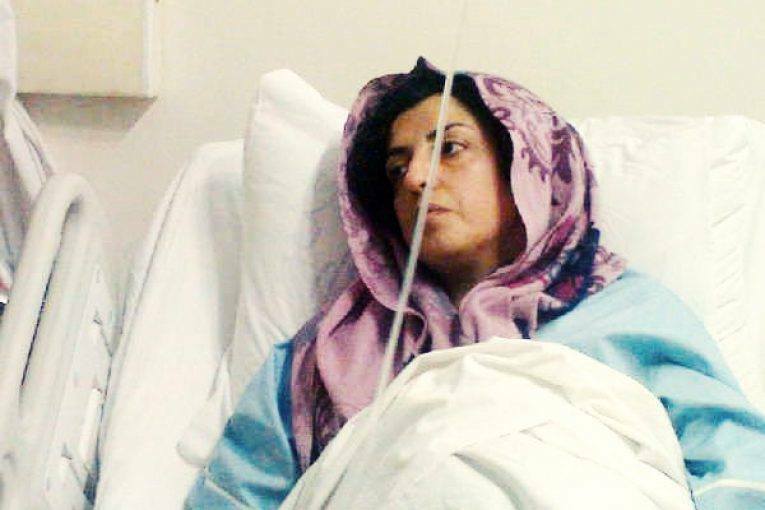 More Than 700 Journalists And Activists Received Text From Regime Forces Warning Them not to contact with the counter revolutionaries and opposition outside of Iran . According to " zeytoon" website and Radio Farda , more than 700 journalists and social activists in Iran on last Thursday received a threatening text message , warning them " not to contact with the counter revolutionaries and oppositions outside of Iran " . This text messages were sent via the last four numbers of the personal phone and warned them that; " this is the last warning " . The text message reads: " Any contact with counter revolutionaries outside of Iran via email, secured portal , and other means of communication is a criminal act and will be investigated by judiciary, it is necessary to cut off your communication with them." It has been said that; journalists , student activists and family's of the political prisoners and ....received this text messages at 7 pm on last Thursday . A Way To Muzzle The Journalists And Social Activists In Iran . Mr. Ejeie the judiciary spokesperson, confirmed the news in his press conference and said nothing about the source of this text messages and as usual backed those who have sent the text message instead of revealing about the source . In the meantime the Ministry of Information said; they were not the source of the text message which were sent to these individuals. 2- Amir Dorosty .....................................probably on his 43 day of hunger strike , there are no news whether he has ended his hunger strike....He is a pilot and is in ward number seven in Evin prison which is known as " National Security " ward. 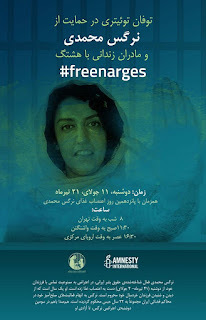 5- Narges Mohammadi ............in her 8 days of hunger strike ...She just wants to speak to her children via phone, but regime's judiciary refuses to let her . 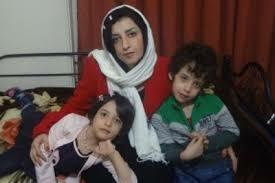 Her children are outside of Iran for their safety. 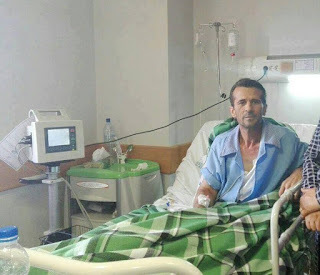 Doctor Hassan Nayebhashem expressed his willingness to continue his hunger strike in solidarity with political prisoners who are on hunger strike . He is on his 23rd days of hunger strike. GENEVA (29 June 2016) – The United Nations Working Group on Arbitrary Detention released today 22 Opinions concerning 101 individuals in detention in 17 countries. The Opinions were adopted by the expert group during its last session held in Geneva from 18 to 27 April 2016.